Discussion in 'Fan Art/Screenshots' started by Orphaniel, Sep 10, 2014. Honestly, I actually like that engine Scooter. Pretty cool if i must say so myself. Looking at it with the rest of the ship it looks (to me at least) like it fits. Likewise, looking at the engines up close, they seem to be over sized, but from a distance they look like they fit. Dont know whether I should build a second set of main engines the same size, or a smaller set. make a smaller one like 2/3 of the first one. This is turning me on.,.. Overall a good looking ship! Hope we get to see a finished version in the future. :D Big fan of the shape, but then again, I'm a big fan of how the Venator looks as is. This is a thread that doesn't deserve to die. Here's the updated version of some engines I posted in here a few years ago. You're just cheesing how lights behave when directly adjacent to certain blocks, right? Something seems to have changed, in one of this years updates, in how the illuminating effect of glowing blocks of different color combine to give a hue to surrounding blocks... I have no idea what Kupu changed, but stuff like that are so much smoother since. The "trick" in the example above is simple having four red crystal wedges directly adjacent to the ice layer (which slightly redden the armor wedges of the nozzle's inner surface), plus a wall of blue crystals directly behind the reds (the light of which diffuses in the ice to produce the overall blueness of the engines). It's Gorgeous, all of it! Don't ever let this thread die! 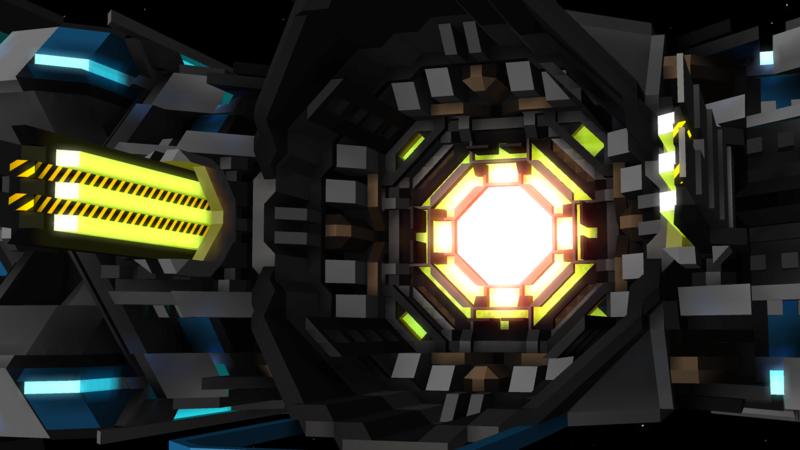 Here's something me and Plaz have been working on for a Solaris One ship. Ooohhh, I really like this! Glad that I finally found a good use for a gargantuan engine pod template I had for a while. Four of them are built on the ship itself, another four on a diagonally docked entity, and then some more in the middle to be sure. I'm planning to give them some nice startup lighting animation too. 25 nozzles and exactly 129,000 thruster blocks in total.